We kicked off our new Watch D.O.G.S. (Dads of Great Students) program with our first dad, Robert DeHaye, volunteering on Monday, February 4. This new program will strengthen our school by providing positive male role models for our students. 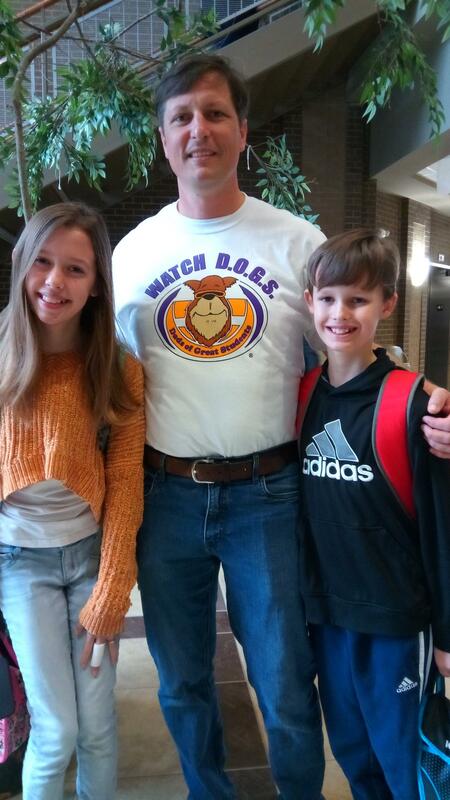 WatchDOGS visit classrooms, assist students with schoolwork, play games with students at recess and P.E., help monitor the cafeteria during lunch, and have fun spending time with our students! You can learn more about this amazing program, request additional information, view available dates, and sign up to volunteer by visitng the Watch D.O.G.S. page on our website.